This workshop will combine a flowing yoga practice and meditation with creating your own art. During a spirited-filled practice, we will tap into our imaginations. 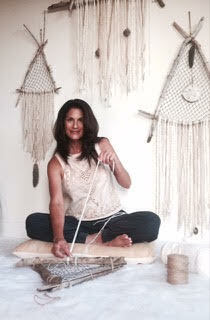 Capturing that spark, we will create lovely driftwood dreamcatchers representing that dream or idea that has long been on our hearts and remind us, every day, to let our aspirations come to life. The driftwood, yarn, string, and other materials are provided - but you are more than welcome to bring items from home!